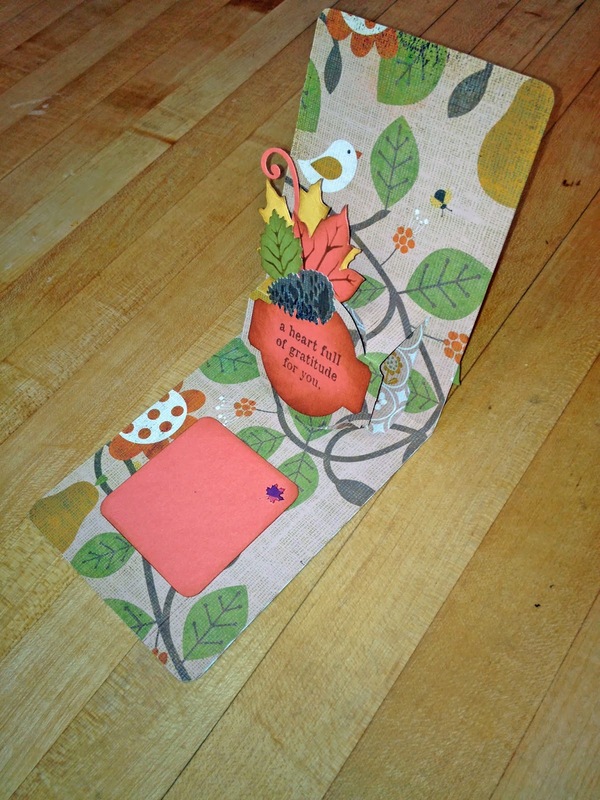 I used Karen Burniston's A2 die with circle label 3-D Pop N Cut insert and her Love Set Sizzlet to make this card. My stamp is Phyllis Harris' Autumn Joy. Super! Love the colors on this one! awww so cute! Love the sweetly colored image! What a beautiful card!! I love the design and the gorgeous PH image and the autumn leaves. Great job!! WOW! So much coorindated goodness in this card. Super cute with the big leaves. I'm working on a pop up card today. Love this inspiration. Wonderful pop up card! 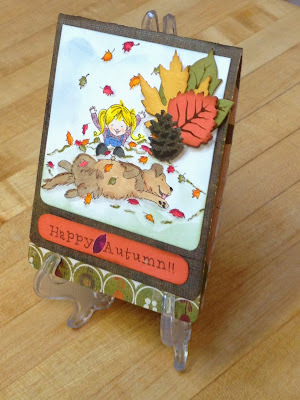 Beautiful fall card! Looks great all in the colors of Autumn. Thanks for sharing this! I love the colors. Beautiful card! That is such a lovely surprise inside! what a wonderful card.... inside & out! this is so sweet and that pop up looks awesome!